Wanna see a teller? 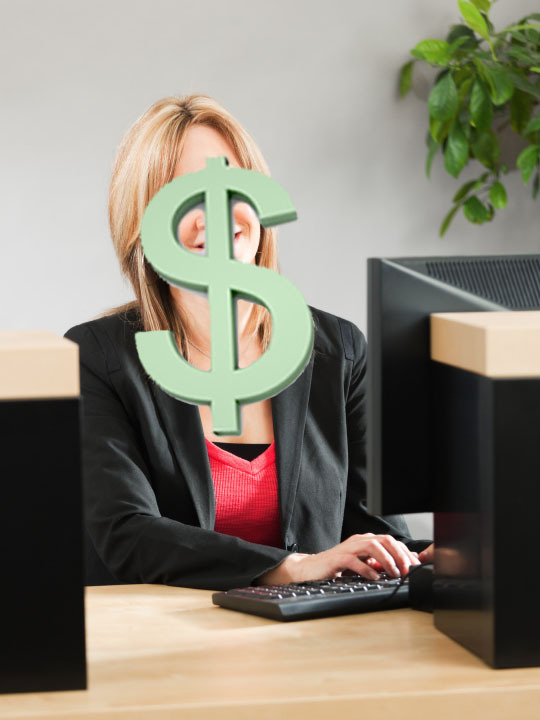 Pay for it – As if the banking industry weren’t already bad enough, it just got worse. Banks have consistently been one of the worst industries at Customer service as was discussed in these past eServices: It’s Bad Service when your Customers need to read the fine print and Credit Card Companies do a double scam on Customers. However, it appeared due to the meltdown of the banking industry a few years ago, that they were realizing that there might be something to treating Customers well instead of looking for more ways to confuse and penalize them through hidden fees. But banks now want you to pay for face time, as more institutions are charging fees for interacting with a teller. An Interaction Tax – It started with companies like Capital One 360, that was strictly an Internet- only transaction company. A Customer forfeits the in-person experience to save money, and if the app or website is down, the Customer’s only option was to send a deposit by mail. Now other banks are getting into the game. In December Customers with “Virtual Wallet” accounts at PNC Bank could see a monthly $7 charge unless they pledge to bank only online, by mobile or at an ATM. Customers need to be able to interact with tellers; they are not ordering a book or DVD. Banking products and services are extremely complicated and technical. eFailure – At Bank of America, Customers rejected “eBanking” accounts that charged $8.95 monthly if a Customer used a teller, which forced the bank to stop offering that service. While online banking has grown significantly, the answer is not to charge people to walk in your door and talk to your people. What does Culture really mean? – I recently had the opportunity and pleasure to interview Stan Slap, author of “Bury My Heart in Conference Room B,” a NYT & WSJ best seller. In the interview, Stan challenges how corporate America views “Culture.” Stan mentioned while everyone agrees that your culture is the most critical piece to any company’s success, it is also the most widely used and most ambiguous term in all of business. Stan shares the three cultures that ultimately decide the success of any business…manager, employee and Customer. As Stan mentions, the internal cultures (manager and employee) are the most important to overall success, while the Customer culture presents the opportunity to turn your business into a “Brand.” Watch this exclusive video interview with Stan Slap. 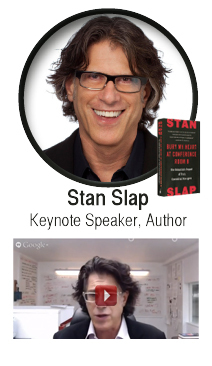 Stan ‘the Man’ Slap – Stan is the president of the international consulting company, slap Company. He is an expert in creating ferocious support in company culture. Stan’s strategic work has created huge impact for organizations ranging from MICROSOFT and EBAY to the IRS and the GOVERNMENT OF NORTHERN IRELAND. Stan’s motto is “making a profound difference in the world – before he is forcibly removed from it.” Watch Stan Live at the 2013 Secret Service Summit in Cleveland November 4th & 5th. John R. DiJulius III best-selling author, consultant, and keynote speaker, is the President of The DiJulius Group, the leading Customer experience consulting firm in the nation. He blogs on Customer experience trends and best practices. Learn more about The DiJulius Group or The Secret Service Summit, America’s #1 Customer Service Conference.